There are a few ways Blizzard can improve her healing and Support credentials. Here's how. With Season 9 of Competitive Play now underway and a shift towards a heavy tank meta on the horizon, Blizzard is working to refine Overwatch‘s hero roster. Notably, the developer is looking to buff the likes of Reaper and Mei to counter a shift to a 3-tank team composition, which has been fuelled by Moira’s climb up the competitive ranks. That we’re seeing a Support hero have such a significant effect on the meta is probably a good thing, and I for one prefer that Blizzard look at retooling and buffing other classes rather than making significant changes to any of the current healers in the game. Mercy has gone through perhaps the most change of any other hero in the game, and while she’s still especially useful, Blizzard has done a wonderful job of making her a slightly less effective Support hero. We’re not particularly spoiled for choice when it comes to direct healers, and Moira was a nice addition to the roster to offset Mercy’s sudden increased vulnerability. That Sombra is slowing working her way into the meta as a quasi-healer suggests more work needs to be done to diversify the Support tier. The slow but inevitable shift towards the heavy tank meta certainly justifies changes to the tank busting credentials of Reaper and Mei, but I feel Blizzard still has some way to go to refine and perfect the Support class. Brigitte adds some nice healing prowess, and I can see her teaming up quite well with a Moira or even Zen, but her addition to the roster has me wondering about the status of an ever-forgotten and severely underutilised hero in Symmetra. 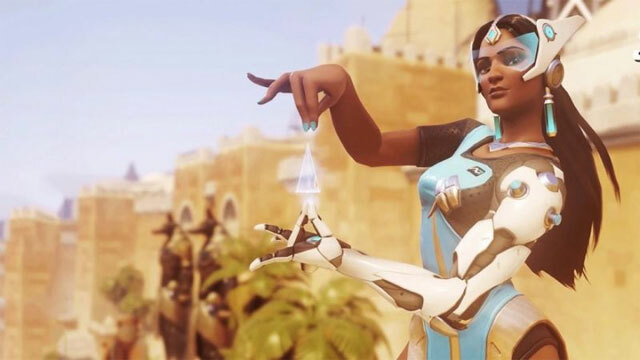 Blizzard has often said they are looking into how to make Symmetra a more useful pick. She received a significant change post-launch, which saw her get a shield generator and moving shield, and while these additions made her more fun and diverse hero pick, it didn’t really make her viable in an ever-changing hero landscape. She was the only hero not picked during the Overwatch World Cup, which shows that the pros simply don’t value her as an effective enough pick — even on defense. Either that, or she’s too easily countered by too many heroes. I’ve had a lot of fun with Symmetra since her first retooling, and she’s among my most played heroes in the game across both Quick Play and Competitive. I used her to finally climb out of Gold, and while I had to work hard to justify my pick on Capture maps, more often than not she was a useful pick that provided genuine support for my team. Because what’s a support hero if they can’t actually offer support? Her Shield Generator should be the first option over the teleporter unless you’re getting the right picks — getting to the point faster isn’t going to stop you from getting steamrolled — and her turrets are at least a fantastic distraction, at most a microwave of frustration that help with some quick Ult charge. In close, with a good, balanced team and support around her, Symmetra is a fantastic choice. However, the problem isn’t exclusively related to her kit. She also struggles to truly identify with the broader Overwatch community, a community that sees her as a weird sort of DPS-defense hybrid with some at-times useful Ultimate options. Further, she’s becoming easier to counter and shut down, and the meta is becoming increasingly reliant on direct healers, something Symmetra doesn’t offer. Frustratingly, as a builder her most useful traits are too easily destroyed by enemy combatants, and unless her teleporter or shield generator can be protected and active for the duration of the match, she’s nothing more than an aimless DPS with minimal range and minimal mobility. If you play her right, you might be able to carry. 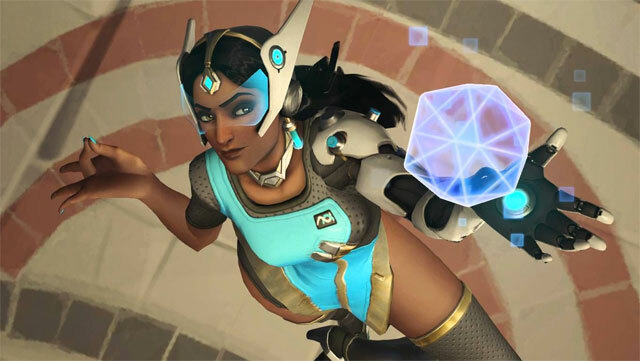 But unless you’re playing against six eggs, chances are the enemy team will find a way to quickly put an end to Symmetra’s most useful traits and skills. With that said, there’s no doubting that some significant changes need to be made to make Symmetra a more useful Support choice. I don’t think she’s ever be more than a niche choice, and I highly, highly doubt she’ll ever work her way into the meta. She doesn’t isn’t that type of hero. But there are a few ways Blizzard can improve her healing and Support credentials. Here’s how I think Symmetra can better contribute to her team. I know what you’re thinking, but there’s more to this point than simply dumping what is effectively, as it stands, her most important skill. 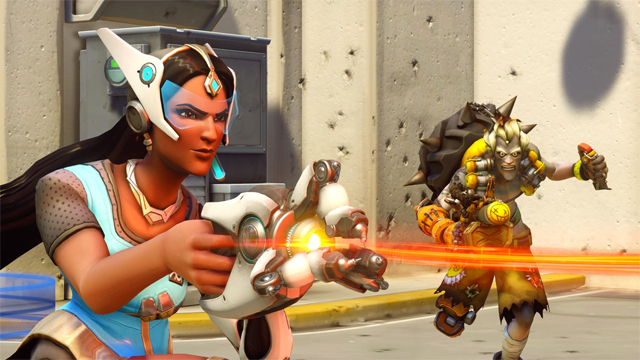 The Shield Generator is a fairly limited option for Symmetra players: there’s no statistical reflection of how the Shield Generator actually contributes to your team, and so it’s difficult to truly weigh in on its effectiveness during battle. Further, I feel that it can be retooled to feel like a more “rewarding” Ultimate choice for players. 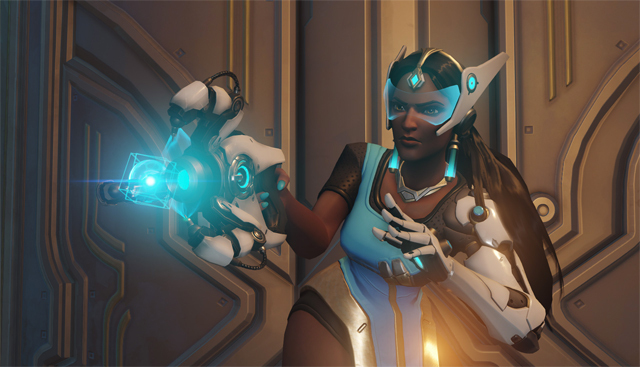 Currently, Symmetra has two Ultimates: her Teleporter and her Shield Generator. The Teleporter is useless unless, as I mentioned above, you’re getting the right picks. If the enemy is steamrolling you, then rushing back to the point isn’t going to make things any easier for you. If anything, you’re probably just going to feed into their Ult charge even more. The Shield Generator would be more useful in that case, because at least then you’re given a slight boost in the health stakes. What I propose is that the Shield Generator and Teleporter be moulded into a single Ultimate: for every entry through the Teleporter, the player receives +75 Shield, with no area restriction and no time limit. Further, Symmetra herself cannot use the Teleporter. It is exclusively for her teammates. The bonus for her here is that, whenever the Teleporter is active, her personal Shield increases from +100 to +150, increasing her total health from 200 to 250. Once the teleporter is down, Symmetra loses her shield, however her teammates maintain the shield until depleted during battle. Her turrets are fantastic distractions and a great way to build ult charge, but a Winston — or any hero, really — can easily wipe them all out within a matter of seconds. Being hit by all six at once leaves a small response window, sure, but this is not optimal Symmetra play: while they’re most powerful when all placed together, they’re also far easier to rip down at once. Regardless of how you choose to use her turrets, they act as a nice defensive strategy when defending a point. But what if the opposition is going for a heavy tank composition? A Reinhardt, Orisa and Winston? Well then these turrets are suddenly far less effective than what they set out to be, and Symmetra is suddenly completely unviable. What I propose here is a complete retooling of her turrets, including adding a “shield” turret option. Firstly for her current range of damage-dealing turrets, reduce the total number of damage turrets available from 6 to 3, but increase HP of each turret from 1 to 5, and the cooldown from 10 seconds to 7 seconds. 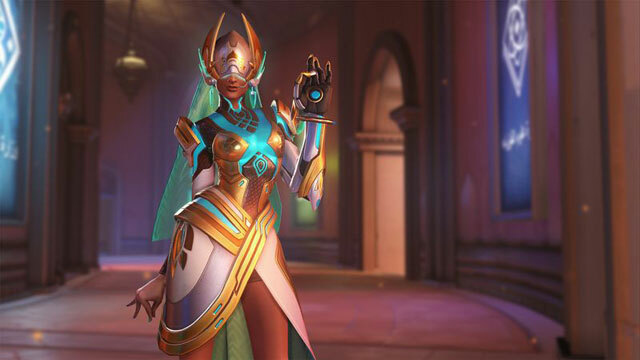 This will give her turrets more life span, and Symmetra more flexibility to quickly respond to turrets being damage during battle. Increase damage caused per second from 30 to 40. Alternatively, Symmetra can choose a “shield” turret option. That is, allow Symmetra to place turrets that provide Shield rather than deal damage. Each turret can provide 25 Shield per second. Up to 3 turrets can be placed, with a cooldown of 8 seconds. Only when the player is within range of a turret will they receive the shield. Once they break contact, the shield breaks. Symmetra cannot gain Shield from these turrets, but for every 25 Shield her teammates get from them, she gains 3 Shield for the time they are under the turret. I love using the Photon Barrier to create a spread between myself and an enemy. I think a simple change here is all that is needed: allow Symmetra to hold into the Barrier for a short period of time — say, 5 seconds — kind of like a shield in front of her like Brigitte, before it’s automatically released. If you hold down E/R1/RB, Symmetra holds out the Barrier in front of her. Tapping it or releasing it sends it flying. 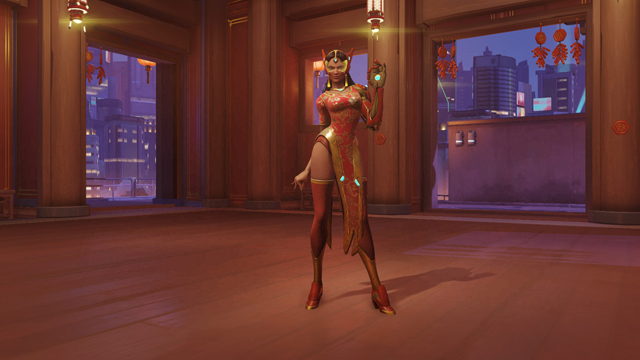 The Photo Projector is ridiculously overpowered and in need of a nerf, although I feel that it exists as it is because Blizzard needs something about Symmetra to make her viable. As it stands, the beam deals 30 damage per second upon initiating contact, increasing to 120 damage per second on a consistent, attached stream. It’s a brutal beast of a weapon. Here’s another area where I feel Symmetra can be retooled into a useful Support. Find a middle ground with the damage dealt with the Beam: increase it from 7.5 directly into 30 for no more than 1.5 seconds. Think of it like a whip that lashes back after making contact. 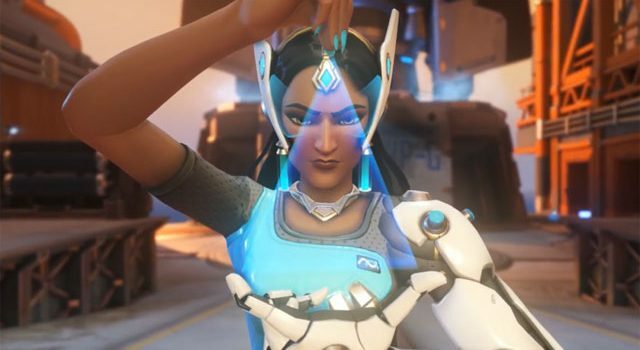 Once the beam break, Symmetra needs to fire again to initiate a new contact. If the beam hits 30 damage per second, it provides 5 Shield to all nearby allies until depleted. With her Secondary fire, have a single fire shot dealing 100 Damage, taking 1.5 seconds to charge up. Once you press the secondary fire button, this initiates the charge, and a single 100 Damage shot is fired. No increasing charge, no spamming. Just a single charge. If a player uses the teleporter, is receiving Shield by the turrets, and receives 5 Shield from the Photon Projector, the total shield offered can be 155. This is obviously too much, and should be capped at between 100-120. The alternative would be to put a time limit on any shields that are active. What are your thoughts on the above? How can Blizzard best evolve and improve Symmetra to make her a more viable pick? Sound off in the comments below!